One of these board members is a long-time choir member who has been a consistent and effective leader in other positions within the choir. 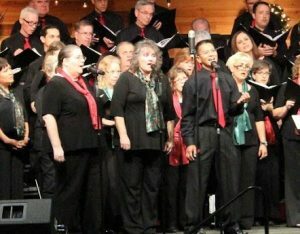 He is an easily-recognizable choral talent, soloist, and outspoken member of the organization and you likely have seen him at any one of C3’s performances over the last five years. 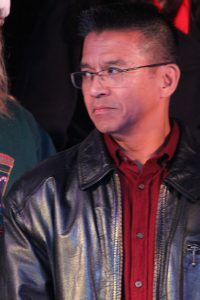 In addition to his long tenure in the organization, Eduardo “Ed” Corpuz now takes on a new responsibility as its president. Ed graciously agreed to be interviewed on this new experience amid the daily hustle of a career, his current board responsibilities, and the weekly rehearsals and sectionals that go into making C3’s seventh Spring season its most member-involved, engaging and exciting season ever. EL: How long have you been with C3 and what special experiences and memories can you share about your time in this organization? EC: This is my sixth year with C3. I came to the chorale at the urging of my wife Lynda. She wanted me to get involved and share in something she loves, which is music and singing. Well, I think she has gotten more than she bargained for. I enjoy singing as much as her. The chorale has also been a source of fulfillment, both musically and socially. The chorale has become part of my extended family. Over the past five years I have become proactively involved with the chorale. Initially as a member of the ensemble, tenor section leader, as a member-at-large on the advisory board, VP of Operations, and now as chorale president. EL: What drove you to want to run for president this season? EC: Over the past five years I have experienced the growth of the chorale; in membership, complexity, and as an official non-profit organization. This growth does not go without its challenges. I have a passion for leadership and have many years of experience with operations and business. I felt I could maintain the integrity of the “business” dealings of the chorale, as well as, take us to next level as an organization. EL: What would you like to get accomplished during your term as choir president? EC: As an “operations” guy, my goal is to insure things are organized and that things keep moving in a positive direction. I want to insure that the lines of communication are open for all of the members, and that critical information is disseminated in a timely manner. As president, I am here to serve the membership and the interests of the chorale, and I am always receptive to suggestions and questions from the membership. EL: What was your first action as President? EC: My first action was to insure collaboration within the advisory board. We need to be moving in the same direction and with transparency. After the first two board meetings I would say we are off to a great start. We are all working together for the benefit of the chorale membership. EL: In what direction would you like to see the C3 organization go in the coming years? EC: As I mentioned earlier, I would like to take the chorale to the next level as an organization and musically. We have conducted a couple of music workshops and have several more planned this year. Anji is starting rehearsals with sight reading exercises so we can improve our abilities. She is going to challenge us moving forward and I think that is a good thing. EL: What are you most looking forward to this next season? EC: Every season is exciting. We get to perform some favorites from previous seasons and several new selections that are both challenging and fun. We have already set a date for our next Broadway show (always a favorite of mine), and are putting together the final plans for our Spring show. EL: How does music in either the performance aspect or as a source of entertainment influence your life? EC: Music inspires me. I love all types of music and I love to perform all types as well. I grew up in a musically talented family. So it’s been and continues to be a big part of my life. Thank you, Ed for sharing with us a peek at what is to come next in Circle City Chorale’s coming season. Circle City Chorale (C3) and Circle City Children’s Choir (C4) will be performing our annual spring concert entitled “Unity in Song” on May 20, 2017 at 2pm and 7pm. First Baptist Church of Corona 155 W 8th St, Corona, California 92882. Presale tickets are $12 for adults, $8 for children.To purchase tickets, check out Purple Pass.